It’s coming. The heat is coming. And you’ll need more than central air conditioning to survive it. You’ll need cocktails. In an effort to best equip you, Cowboys & Indians is sharing these recipes from Herradura Tequila that go beyond the range of the frozen margarita into the realm of snappy, classy libations. First up is the Herradura Kiwi Cooler. Its combination of zesty lime and fresh cucumber juices mixed with Herradura Silver tequila and sweet kiwi flavors make for a balanced alternative to lemonade. The Strawberry Punch offers lovers of Southern tipples another option in a Mason jar. Place all ingredients into a shaker filled with cubed ice. Shake hard to break down the kiwi and chill the drink. 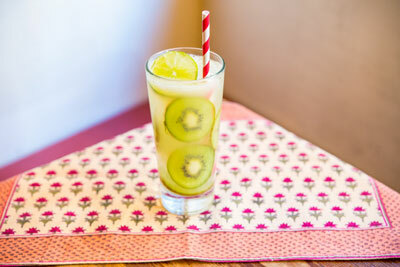 Then strain into a tall glass over cubed ice and garnish with kiwi disks. We’ll mix up a batch for a real world test and give you all a full report. In the meantime, visit cowboysindians.com for more awesome tequila recipes.